Before: View of current Villa Drago facade. After: Artist’s impression of the restored Villa Drago and gardens. 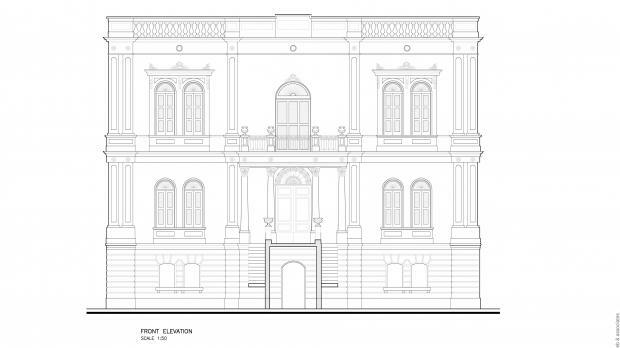 Front elevation drawing of Villa Drago by Martin Xuereb and Associates. 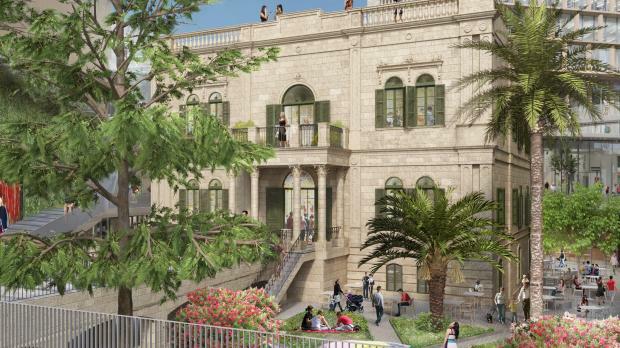 Villa Drago, which has stood as a prominent landmark in Sliema for over 150 years, is about to undergo a dramatic revitalisation involving painstaking restoration and conversion which will enable it to take pride of place in the proposed Townsquare project. 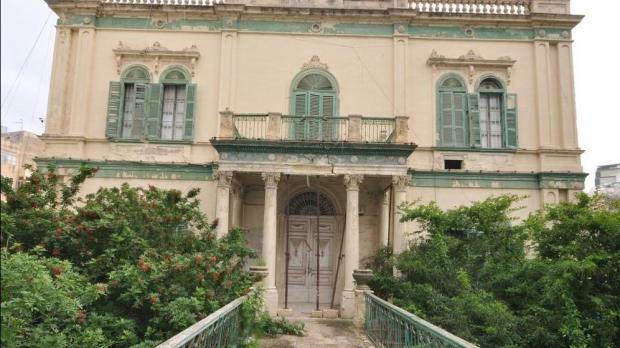 The lead architect for the proposed mixed-use development is Martin Xuereb, of award-winning architectural firm Martin Xuereb and Associates, who says that the restoration of the villa could begin soon after permits are in place, since it stands alone from the rest of the project. 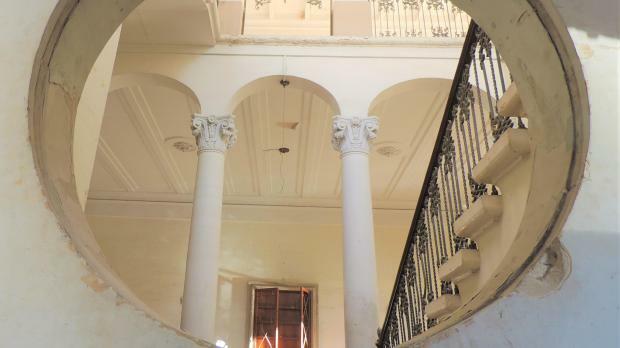 According to conservation architect Edward Said, who prepared the restoration method statement on the property, Villa Drago is one of the last of its kind to survive in Sliema, “matched only perhaps by Villa Portelli at Savoy as a fully detached late 19th century stately residence”. “Villa Drago is a fine example of a rare style we call Maltese Palladianism which was championed at the end of the 19th century by the respected architect Francesco Zammit, one of Malta’s most prolific architects of his era,” although the design is reportedly attributed to the acclaimed architect Giuseppe Bonavia. “It stands in relatively sound condition. Most of the internal restoration is envisaged to be cosmetic, apart from the replacement of some of the ceilings, if required, after further investigation. The front garden will also be fully restored in accordance with the method statement of this listed building,” Mr Said explained. Mr Xuereb ought to know. His many projects include Palazzo de Piro in Rabat – which had been altered significantly to be used as a school – and, more recently, the restored Cittadella in Gozo, for which he has received the highest praise. The most significant intervention on Villa Drago is likely to be the removal of the previous owners’ 1970s extension to the first-floor at the rear of the property in order to reinstate the terrace, while most of the piano nobile ceilings are in need of maintenance. Mr Xuereb is particularly impressed by the villa’s imposing grand staircase, which he enthuses is the most beautiful internal feature. The villa’s front gardens – which will be preserved and enriched to link up with the rest of the project – will also be brought back to life. All species of trees, identified as part of the original scheme, will be retained and the landscaping will be as close to the original as possible. Given this is a highly specialised job, Mr Xuereb will be teaming up with Italian landscaping architects Paisa, whose portfolio includes several acclaimed projects ranging from gardens to urban parks, together with respected Maltese landscape architect Antoine Gatt who has established a reputation for environmentally sensitive and sustainable designs. Mr Xuereb estimates the central phase of the restoration is likely to take around a year and once complete the villa will house a unique range of restaurants, cafes and commercial spaces. However, to a creative architect like him, the process involves a great deal more than mere restoration. It’s about respecting the integrity of the building while providing it with purpose, functionality and, above all, soul. “If the property is restored and used as it was in the past, you are just putting things back in their place. But if you’re aiming for a different use, that presents a different challenge: at the Cittadella, for example, we created a visitors’ centre in the ditch area whereby we preserved the fabric but inserted other elements that made the place work in a modern context. “It’s all about injecting life into some- thing that will otherwise disappear. This is the objective and a fantastic opportunity,” Mr Xuereb said.